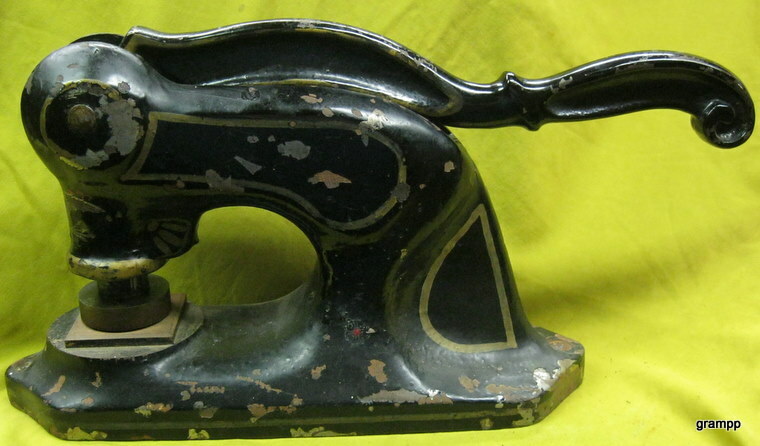 This press, advertised as the County press weighs over thirty pounds and is one of the larger varieties found. It was advertised by the Sigwalt manufacturing Co. in the July 1903 issue of The Commercial Stamp Trade Journal. The seal in this press is from an Albany N.Y. Law firm founded in 1898. The press body is marked Lang stamp works Albany N.Y. 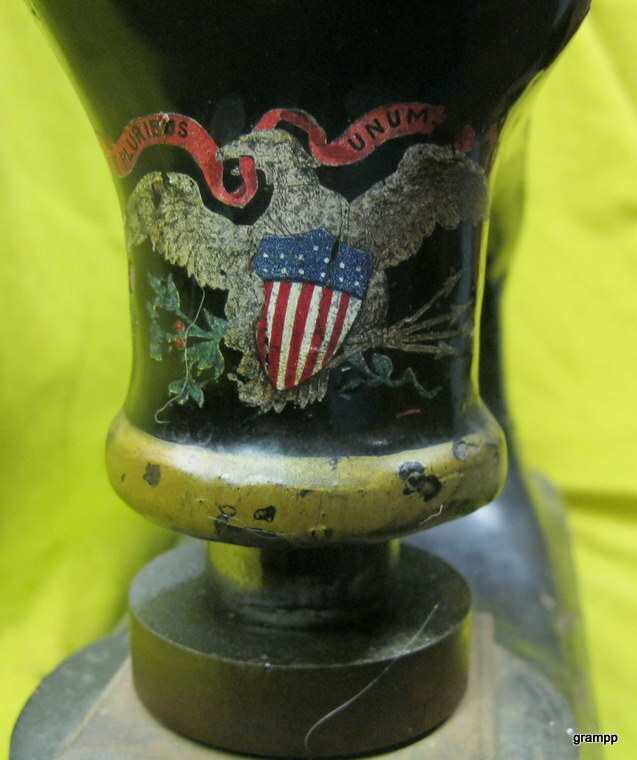 Note the indented base shown in the photos. The indentation used to contain the excess metal from the counter pour is first seen in 1883. Both lots consisted of a county press bearing a seal from the Vigilance Committee of San Francisco, an envelope from the National Seal and Stamp works addressed to the Richmond Ca I.O.O.F. Lodge No.119, a copy of the proclamation of the Vigilance Committee of San Francisco Jun 9th 1856, and an entry label from the city of San Francisco Historical Exhibition held Sept 11-22 1934. On both occasions, the press was sold as being the press used by the committee in 1856. The easiest determination of the authenticity of the press would be to inspect the base. If it is indented, it was made after 1882. Mr. Baumgarden, of the National Seal and stamp works, Baltimore Md., purchased 20000 press bodies while in Chicago, the home of Sigwalt, in the spring of 1903. The Richmond Ca. I.O.O.F. Lodge No. 119 was not founded until 1901. prior to 1898 lodge 119 was located in Markleeville Ca. The first ad found on line for the National Seal and Stamp works is in the 1899 Technology and Engineering journal. The last reference is an ad from 1903. It is likely the seal in this press was manufactured by National Seal and Stamp as a commemorative item for the Odd Fellows Lodge after 1903. A guess would be for the 50th anniversary of the Vigilantes in 1906. Having been displayed in 1934 does not mean the press was made in 1856. This theory is my own, If you have information to refute this theory, please contact me.